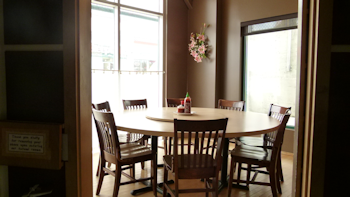 We have one private room that holds 10 -12 people. The private room is very impressive with a round table and a door. If you have small children it is ideal as they can get down and move around the room without disturbing others. 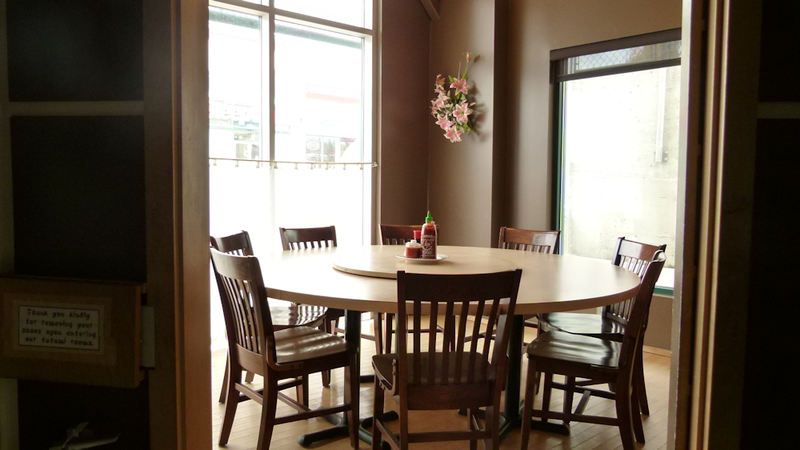 This large room is located at the front of the restaurant and has 3 large picture windows giving a great outside view.